5 Post By Rick N.
1 Post By Rick N.
2 Post By Rick N.
Ormond by the Sea, Fl. I came across this little one a few days ago. Know nothing about it, but is was soooo cute I had to bring it home !!!! Looks to be unfired. What can you guys tell me about this one ?? Arky73, Golphin, Merle1 and 2 others like this. I don't think that it would be good to fire high speed ammo in it. Do a little research on the serial #. Remington started making high velocity .22 rim fire ammo in 1930. If it was made after that and has a tight lockup and is" in time" then you could most likely shoot any short ,long, or long rifle ammo. 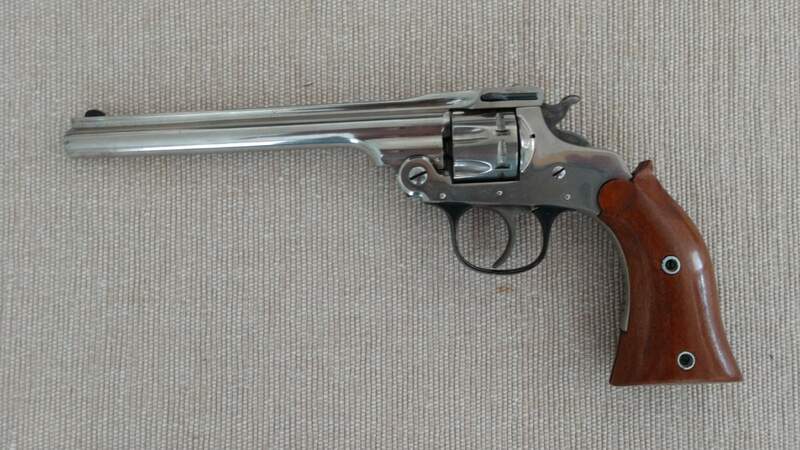 It looks like a well kept revolver. Just doing some quick research,,,, if correct, this baby is pretty old !! Made around 1905 . 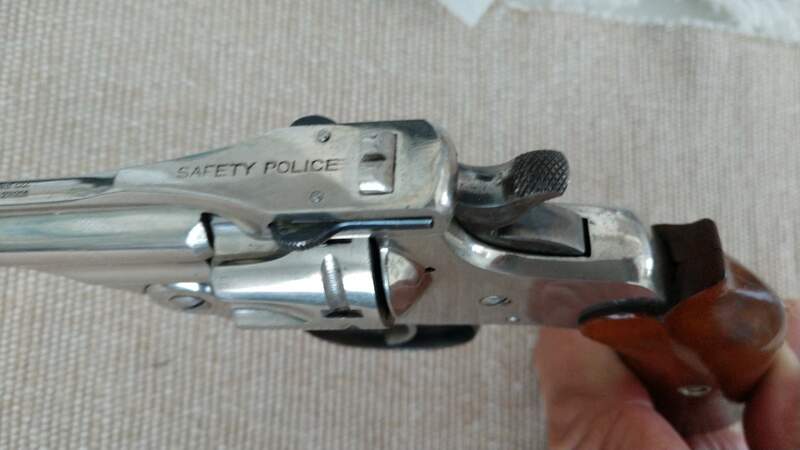 What are the barrel markings? I've never seen one of those. Really nice condition for any top break that old. My mistake !!!! Not a H&R !!!! Barrell is marked " The Hopkins & Allen Arms Co. over Norwich, Conn. U.S.A. Pat'd. Aug. 21 1905 "
Golphin and MarlinManCB45/70 like this. Looks like they went under around 1917 so it is old but looks nice. 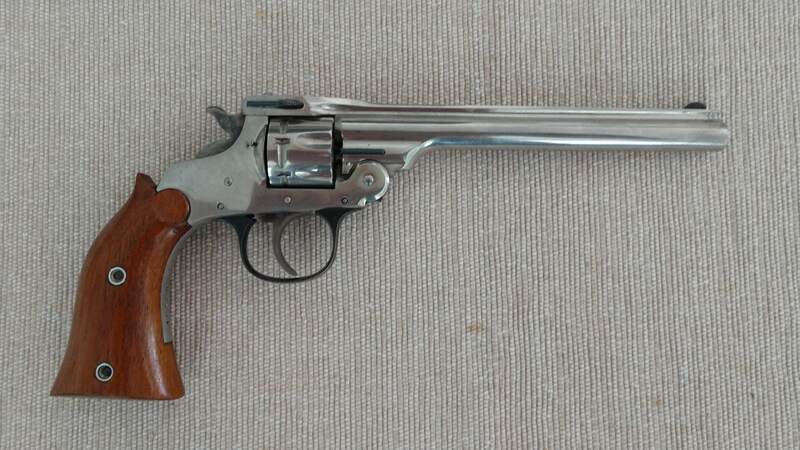 Originally Posted by Rick N.
Makes it a rare ol' revolver in my book. Check blue book on it....maybe surprised? Always lift the locking latch when opening and also when closing the action -- that will help keep the frame-to-latch lockup tight. Worse thing any shooter can do is to "slam" an older top-break closed, although many do it cause they think it looks cool.